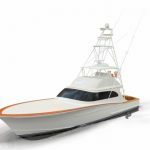 The Winter 46 is the culmination of building several walk-around boats and constantly trying to build a better product. 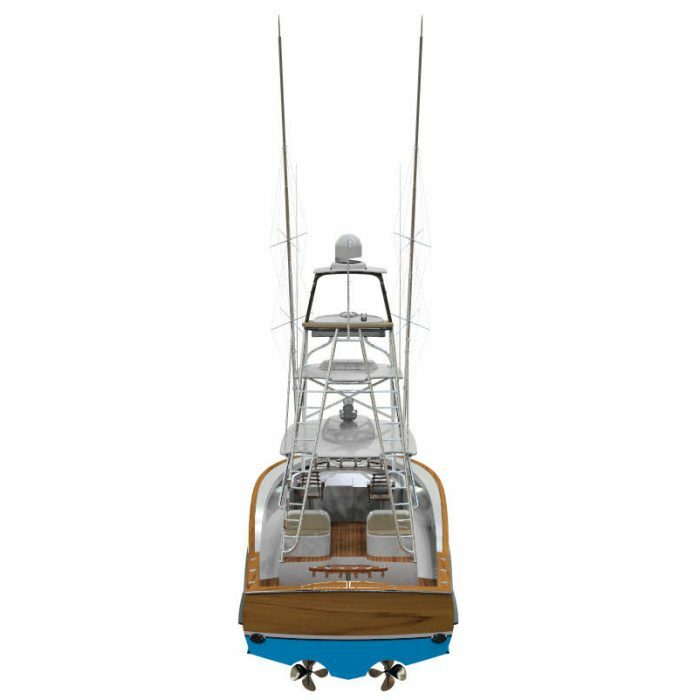 This is the most optimum fishing platform we have designed that excels at whatever you want to do with a boat this size. 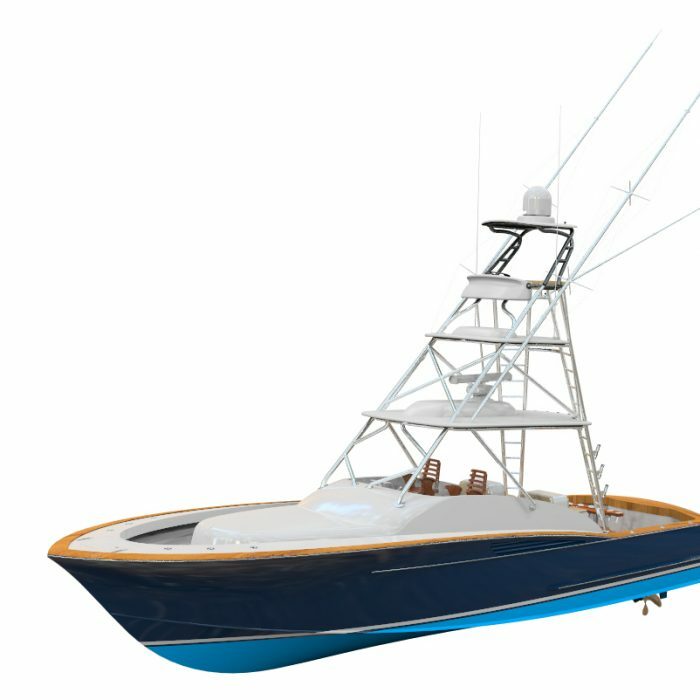 Fishing shorthanded or with a party, this vessels offers plenty of seating, storage, power to accomplish any adventure in comfort. 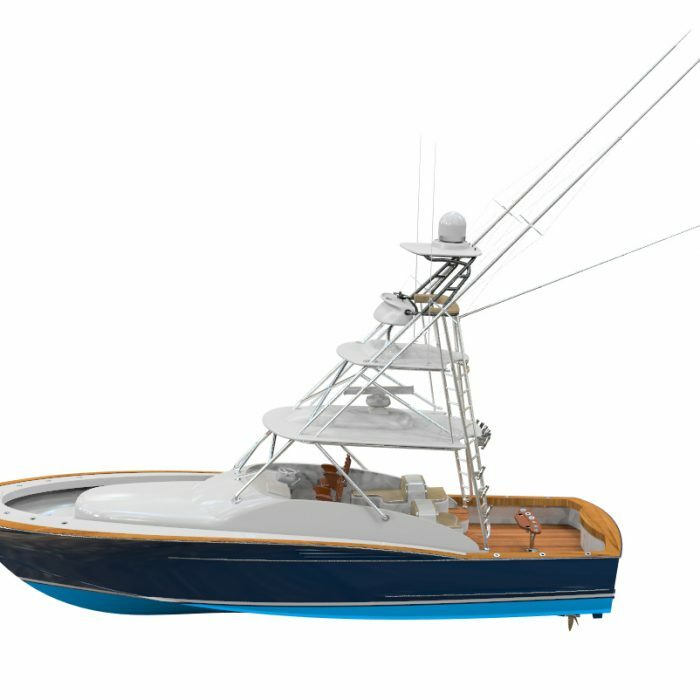 This boat is currently under construction and is for sale. 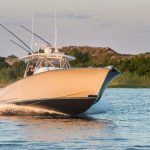 The walk around has many attributes that make it a great boat. Our primary goal in this walkaround was to eliminate the mid deck step found on our previous models. 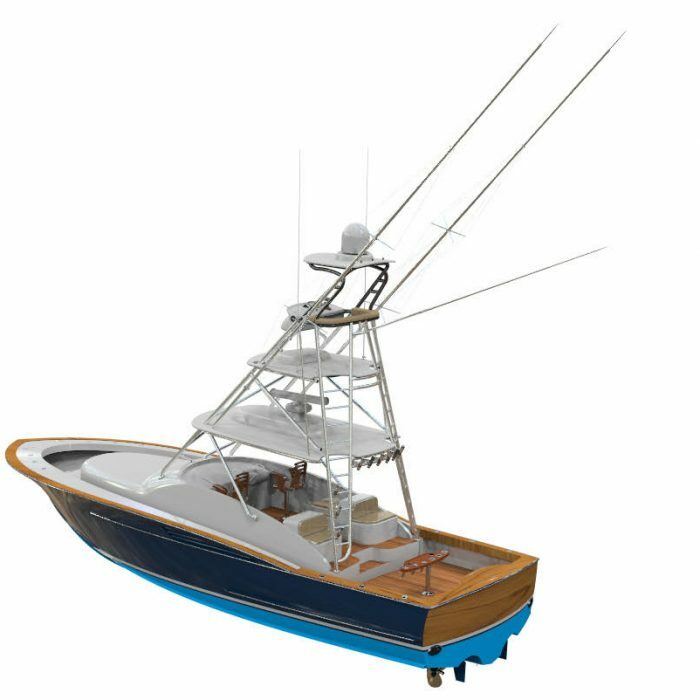 We were able to accomplish that with this boat and we included a contoured deck that matches the sheer line offering 25” of freeboard from stem to stern. In the cockpit this boat features teak covering boards, decking, furniture and toe rail. The typical transom kill box has been plumbed for baitwell and insulated fish box. 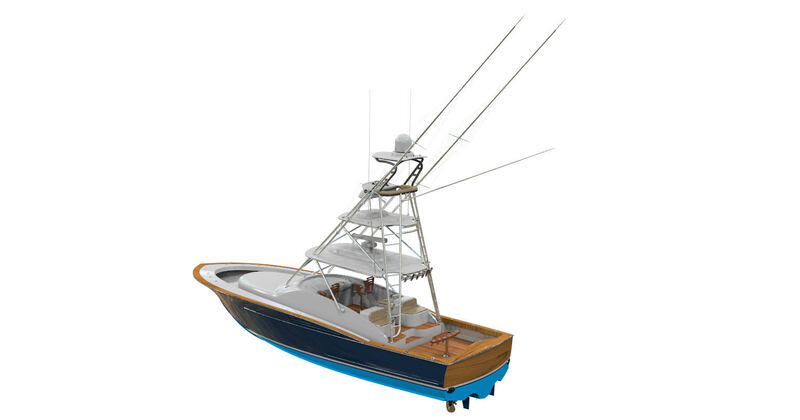 An in deck fish box offers fish storage when using the transom bait well. On the bridge deck the helm is found forward with a mirrored passenger helm chair and glove box. The large helm station offers room for two 19” displays and accompanying equipment. 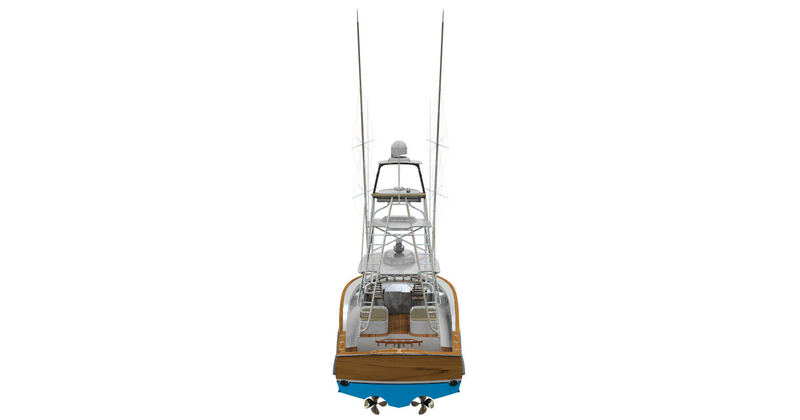 The teak helm pod houses the palm beach controls with integrated bow thruster controls. 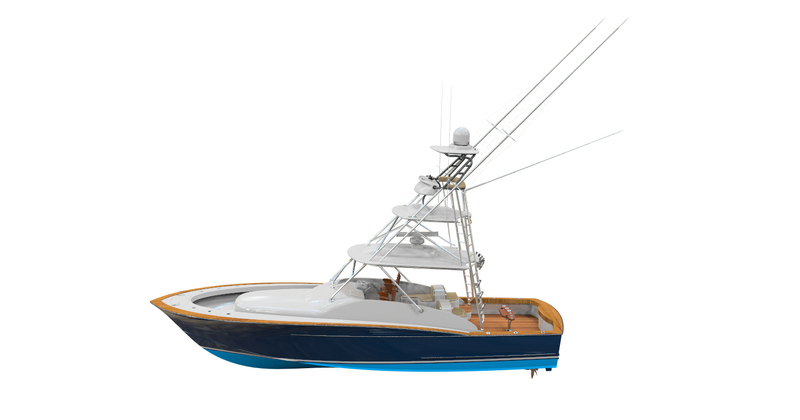 The interior has a large galley, subzero refrigeration, and abundant storage throughout. Twin bunks forward offer sleeping arrangements for overnight trips. 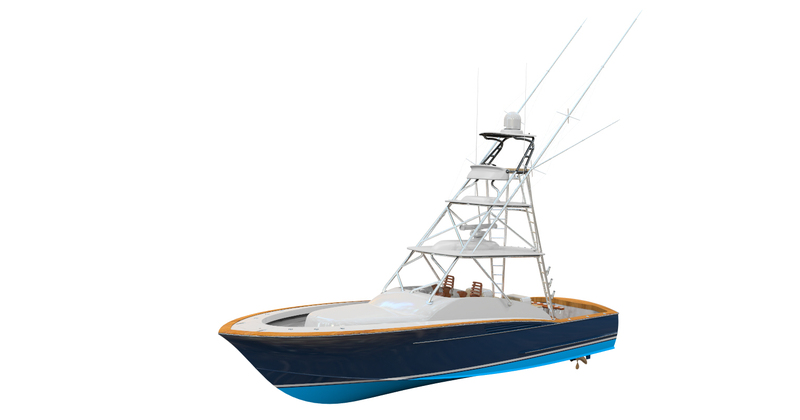 The boats twin Caterpillar C12.9 1000 horse power engines will push the boat to a cruise speed of 34 knots and a top end of 42 knots. Power generation is supplied from a single 17kW Northern Lights generator to the vessels systems including water maker, ice machine, refrigeration, and Seakeeper Gyro. Keep checking back for updates as we work toward her late summer 2019 delivery!